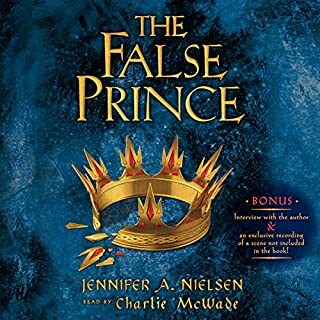 In the second book of New York Times best-selling author Jennifer Nielsen's The Ascendance Trilogy, the newly crowned Jaron reels from the aftermath of an assassination attempt, with tensions ratcheting higher in the kingdom of Carthya. Talented actor Charlie McWade, best known for his role as Steve Gusler on NBC's Third Watch, uses his youthful voice to great effect, easily capturing Jaron's intrigue and bravery. After Jaron is forced to abandon the throne, his perilous journey to save his kingdom will leave listeners rapt. Just weeks after Jaron has taken the throne, an assassination attempt forces him into a deadly situation. Rumors of a coming war are winding their way between the castle walls and soon it becomes clear that deserting the kingdom may be his only hope of saving it. The stunning second installment of The Ascendance Trilogy takes listeners on a roller-coaster ride of treason and murder, thrills and peril, as they journey with The Runaway King. ©2013 Jennifer Nielson (P)2013 Scholastic Inc.
A standout series that I could not put down! What did you love best about The Runaway King? This completes the story of Jaron very well. 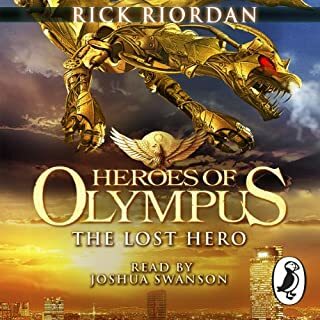 What I loved about this book was that it completed the series for me. Jaron has grown and learned from past mistakes, he shows he is a true royal and leader. The only drawback was that these lessons came so quickly, where in real life they would take years, for him its weeks to months but hey it's a book for young people only those of us that are older would recognize that. There were lots of comments about the battles being to rediculous, but I loved them, I am listening again to see the foreshadowing. I love stories that teach life lessons through well written adventure and this definitely checks that box. This is a perfect book of adventure and similar in the main character's growth to someone like Harry Potter. In finishing the series Jaron grows and becomes my favorite character but each of the main characters was so unique. Princess Amarinda is wonderful in her ability to read a situation and "manage people". Imogen recognizes that you can't always have what you want-regardless of your hearts desire. What does Charlie McWade bring to the story that you wouldn’t experience if you just read the book? I loved his character voices. My kids did not so much but I thought he did a wonderful job especially the accents from the various countries. 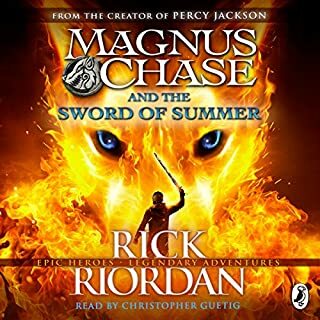 It made me want to re-read or re-listen to the story. I loved it in the same way that when I finished Harry Potter, I didn't know what else to do afterwards-a definite mark of a good read for me! This series is definitely to be read as a series, though each book stands alone it's a wonderful story of growth for a young person. The language is wonderful, its a vocabulary builder for older grade schoolers. I'm definitely recommending it to my children. What made the experience of listening to The Runaway King the most enjoyable? Narrator did an amazing job at placing you in the the story. Great voices for the many characters. I loved his book! Every time I listen to it I love it even more. 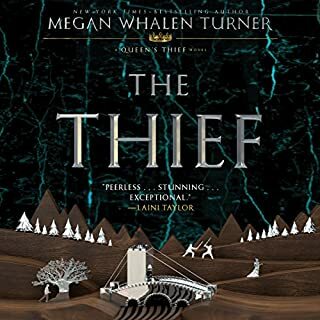 The narrator is awesome and the story is very engaging. With this series, Jennifer Nielsen has become one of my favorite authors and I actively search out and read her other writings as well. I love the store! Great characters and plot twist. 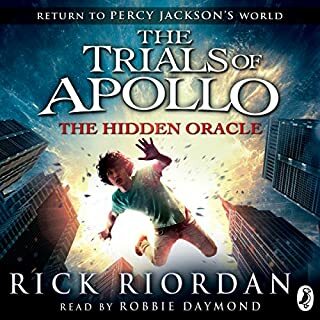 I found it very hard to stop listening, and that is a sign of a great story. The narration was performed very well. I love this series. It is interesting and the performance is lovely to listen to. That accent threw me off a little, but I understand why it was in there. I look forward to reading the next one. Good job to all who worked on this. I love it it made me laugh at some parts. I think Mott kind of sounded like Batman. Oh well. This is an awesome book and if your thinking of getting it get it. this book was wonderful. i was hanging on to every word. 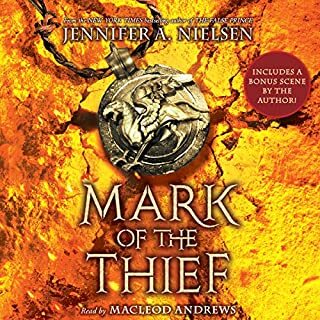 Jennifer A. Nielsen has joined the list of my favorite authors and I look forward to reading the entire trilogy again. 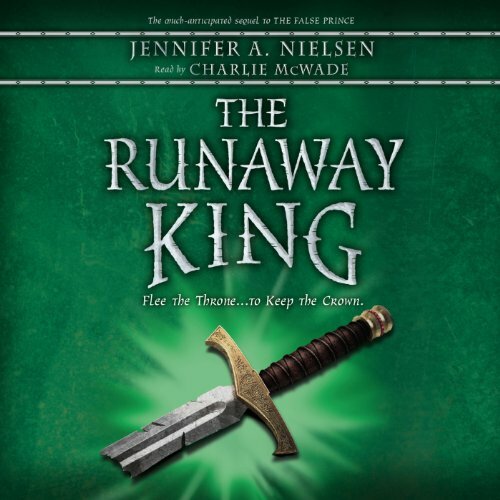 Would you listen to The Runaway King again? Why? Yes, because now I'm not so scared... hehe. It's a great story and I seek out book series so I can enjoy them over and over again. This one is well worth a second and third listen. Mot, because of his ability to see the good motives of a person behind the seemingly bad character. He understands the emotional state of mind. I didn't like it for about 30 minutes in the first book. Then once I understood why Sage was so angry, I understood the need for his naration. The book was great!The plot thickened and there were many great twists and turns. Can't wait to listen to the last one. Appropriate for all ages. Our whole family, ranging from eight year old girls to 18 year old boys plus their parents enjoyed it.